Lil’ Sidekick came to us looking to expand their product line and jump into the baby teether world. We worked with their team primarily on the industrial design and engineering side of the house. Our team did all ideation, concept renderings, engineering and mold manufacturing. Lil’ Sidekick has a long-standing relationship with a local plastic injection molding company so we simply produced the mold and her partner company oversaw product manufacturing. 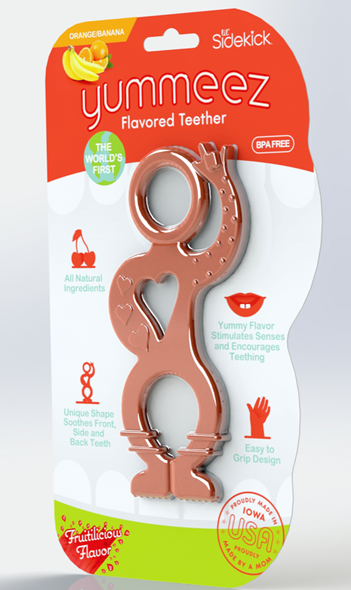 Through a tedious, iterative product development process, we are proud to have been apart of the world’s first naturally flavored baby teether!